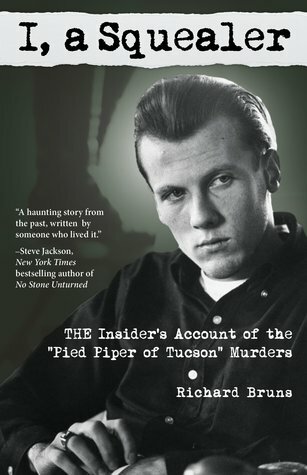 Richard Bruns is the man who turned Charles Howard Schmid Jr aka "The Pied Piper of Tucson" into the authorities and was the star witness for the prosecution in the cases against Schmid. He wrote his first hand account at the time of the trials in 1967. Bruns is a retired teacher and continues to reside in Tucson, Az. Noteworthy experiences while reading this book: This was a very interesting look at the world of a serial killer! Notes and Opinions: This was a very intersting story about a serial killer. But unlike most books this one is through the eyes of the serial killers close friends. If you love books about serieal killers but do not want to read a biogrophy I would recommend reading this one. I noticed that one of my fav. authors even used it for one of her titles (one that I loved btw) So this is def. a great story. I did have a few issues with pacing and just keeping my attention. But in full I think that the author did a fabulous job with giving us all the details of the story in a way that did not sound like a text book which was great. This book gave a lot of great details that I could see others using this book as a reference for their own titles. Also this book is just over 150 pages but feels so much longer. Go Into This One Knowing: Details!